Back pain is troublesome. It keeps sufferers from enjoying their lives. It forces people to spend time and money on treatments that only mask the problem. Back pain has become big business and part of that business is not telling you what you really need to know. How Problematic is Back Pain? What Treatments are Usually Prescribed? The most common treatments include pain relievers, physical therapy and other spinal manipulation techniques, and disc surgery. Unfortunately, these therapies are not guaranteed to cure back pain. In 2015, the Journal of Medical Principles and Practice published a study of over 39,000 patients who received surgery on their lumbar discs. After a mean follow-up of 6.1 years post-op, 78.9% of the respondents reported that they have good or excellent results. This is good news for those nearly 80% of people who had successful surgery. But, it does not account for the other 20% that did not feel that their surgeries had good or excellent results after six years. These are important numbers to consider before you choose to have back surgery. What can you learn from this study? A 79% success rate is nothing to laugh at, but neither is a 21% failure rate. This means that one out of five people who have this surgery continue to have back pain. If you have chronic back pain and your physician is recommending surgery, then it is in your best interest to ask why. You also might want to get a second or third opinion. 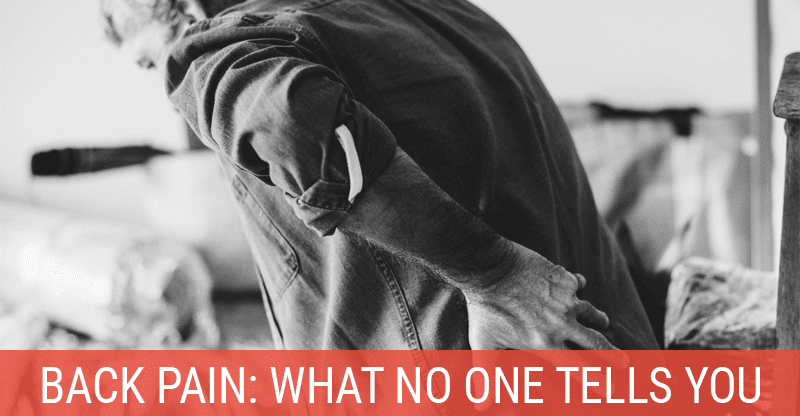 Much back pain is actually caused by things that are easy for patients to remedy on their own. Because back pain is big business, physicians and chiropractors might not tell you the simple solutions. Of course, serious back pain that comes from problems like cancer, arthritis, aortic aneurysms, pancreatitis, kidney stores, or vertebral fractures is another story. But for simple stiffness and soreness that comes and goes, there are things that you can do to help yourself. Could a New Mattress Fix Your Back Pain? Non-specific back pain tends to happen when people have poor posture, weak abdominal muscles, or old mattresses. If this is the case, the solutions are not medical and can be changed with some lifestyle changes. 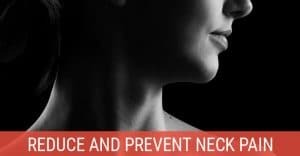 This is something that no one tells you: non-specific back pain can often be treated with no treatment at all. 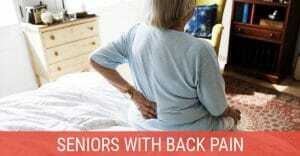 Remember, this advice is not for patients who have been diagnosed with chronic back pain. For those who are healthy, but have back pain, some mindfulness about daily activities and a few lifestyle changes can take care of the problem. If you go to bed without back pain, but wake up with aches, then your current mattress should be evaluated and new one (or possibly a mattress topper) considered. A study published in Journal of Chiropractic Medicine in 2009 on back pain and new mattresses found getting a new mattress decreased back pain and improved sleep. An old mattress was one that had been used for over five years. The new mattresses were medium-firm. What can you learn from this study? Relieving your back pain could be doing something as simple as buying a new mattress. Take a look at how old your mattress is and ask your health-care provider if a new mattress could help you. Is it Better to Be Active or to Get Bed Rest? Another potentially easy way to take care of back pain is to stay active. All too often, people with back pain are told to rest, which can increase back pain. In a study published in the Cochrane database of systematic reviews, patients with low back pain and/or sciatica were given one of two single treatments. Some were told to remain active, while others were told to take bed rest. The results were varied, but those who had acute simple low-back pain actually saw a reduction in their back pain if they exercised rather that took to bed rest. What can you learn from this study? If your back pain isn’t debilitating, you should ask your health-care professional if you should exercise instead of rest. If your health-care provider says yes, then you should ask for recommendations of activities and exercises that would help. Is Smoking Connected to Back Pain? The short answer is yes. People who smoke are more likely to have back pain. In a study conducted in 2012 and published in Cureus, people who smoked were more likely to have back pain than people who no longer smoked or who never smoked. Consider the study about exercising as a treatment for simple low-back pain. And, consider that people who smoke tend to not have healthy, active lifestyles. What can you learn from these two studies? If smoking keeps you from being physically active and you have back pain, it is time to stop smoking. The Surgeon General’s warning about smoking has been on cigarette packages for decades, so health-care providers have been warning their patients about the dangers of smoking. 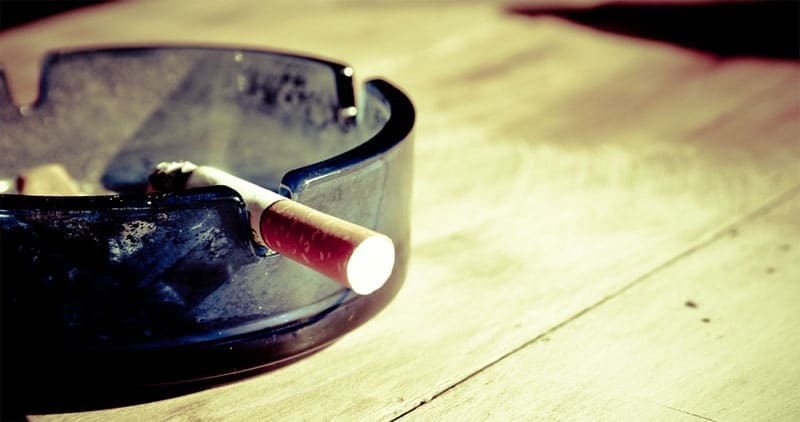 You may not have known that back pain and smoking were connected, but when you consider the connection between physical activity as a positive treatment for back pain, it should be easy to see how smoking and back pain are related. If you do smoke and you need help quitting, then you should ask your health-care provider for assistance. Serving Wasilla, Anchorage, and the surrounding communities, Dr. Brent Wells offers patient-centered, personalized, and innovative chiropractic care. A California native, Dr. Wells earned a bachelor’s of science degree from the University of Nevada. He then attended Western States Chiropractic College in Portland, Oregon. In 1998, he and his wife Coni moved to Alaska and opened Better Health Chiropractic in Juneau. He is a proud member of the American Chiropractic Association and the American Academy of Spine Physicians.